Prophylactic use of antipyretic/analgesic drugs can reduce immune responses to some infant vaccines but unlikely to interfere with immune response using these drugs to treat symptoms once they appear, says study. A randomized trial was conducted in the Czech Republic in which prophylactic paracetamol (acetaminophen) was given in three doses 6 to 8 hours apart starting at the time of immunization while control infants received no intervention. After vaccinations at 2, 3 and 4 months with the 10-valent pneumococcal conjugate vaccine (PHiD-CV, GSK) and hexavalent vaccine (DTaP.IPV.Hib.HepB), antibody responses were measured at 5 months. It was found that as compared to controls, antibody responses of treated infants were significantly reduced to all 10 pneumococcal serotypes and to the Hib, tetanus, diphtheria and pertussis (pertactin) components of the hexavalent vaccine. After the 12-month booster doses of the same vaccines, lower antibody levels persisted to nine pneumococcal serotypes and tetanus toxoid. A more recent study was done in Poland, two drugs (paracetamol and ibuprophen) used as either prophylaxis (three doses, 6–8 hours apart, were assessed starting with immunization) or simulated fever treatment (two doses, starting 6–8 hours after immunization, when fevers typically begin). Healthy infants were randomly allocated to one of five groups, including an untreated control group. PCV13 pneumococcal and hexavalent vaccines (DTaP.IPV.Hib.HepB) were given at 2, 3, 4 and 12 months, with antibody responses measured at 5 and 13 months of age. Drugs were given orally and dosed by weight. At 5 months of age, the infants given three-dose paracetamol prophylaxis had significantly reduced antibody responses compared to control infants to 5 of 13 pneumococcal serotypes, although mean antibody concentrations were above the minimum protective threshold (≥0.35 µg/ml) in both groups. No differences remained after the 12-month boosters. Paracetamol prophylaxis (0, 6 and 12 hours) did not affect responses to hexavalent antigens. Delayed ‘treatment’ with two doses of paracetamol (6 and 12 hours) had no effect on PCV13 or hexavalent antibody responses at 5 or 12 months. In contrast, ibuprophen prophylaxis in this study had entirely different effects on responses. Neither three-dose prophylaxic nor delayed two-dose ‘treatment’ regimens had any effect on pneumococcal responses but the prophylactic regimen (0, 6 and 12 hour dosing) significantly reduced antibody responses to the FHA component of pertussis vaccine and to tetanus toxoid (but with group mean values well above the minimum protective threshold). These differences disappeared after the boosters. The delayed two-dose ‘treatment’ regimen (6 and 12 hours) did not reduce any response. 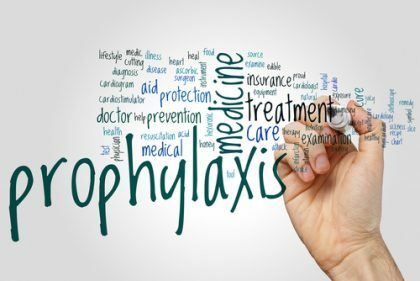 The research concluded that the clinical significance of such reduced responses is uncertain but stronger responses are obtained in the absence of prophylaxis. On the other hand, using these drugs to treat symptoms once they appear is unlikely to interfere with immune responses and would reduce the number of asymptomatic children exposed to other potential drug adverse effects.